Wouldn’t it be great if there was some kind of log home design software that would allow you to create your own log cabin floor plans? Well there is. Although none of the home design software is created specifically and exclusively for designing log homes, most of the design programs have features that help you with log home design. Using computer-aided design software allows you to create the home of your dreams while still confirming and maintaining the structural integrity of your proposed plan. The software automatically integrates the various building components as you assemble your cabin floorplan design, freeing you up to focus on the aesthetic appeal without having to worry about the myriad of architectural details. 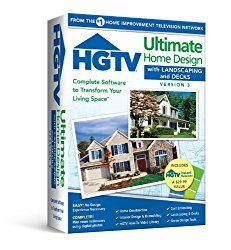 If you have trouble visualizing structures in three dimensions, worry about communicating your ideas to a third party, or are considering acting as your own general contractor, log home design software can take the chore out of the process. The resulting displays of detailed floor plans that can be printed out are combined with amazing 3-dimensional views and virtual walk-throughs. You can swoop around your log home from any angle, view cabin roofing details on the fly, float through your front door and take a trip throughout your future dream cabin…all without leaving your computer keyboard. We all know that one way to spend a lot of money is asking an architect or worse, a builder, to make changes in plans along the way. Once the process is started and plans are made and materials are ordered and various components are designed to integrate with each other, making a seemingly small change to the floor plans can add up to costly change orders down the road. Using log home design software you can experiment with changes to log home plans for free. Want to try moving a staircase from one side of the great room to the other? No problem. How about adding a guest room off to the side or moving an interior wall? It’s as easy as clicking a mouse. Move walls, create rooms, change your roof pitch or add a window just by clicking and dragging your mouse. Remember when designing your log home that you will lose interior space due to the thickness of your logs. If you establish an overall exterior dimension of 30’ x 36’ and you’re using 12” logs, your actual interior dimensions will be 28’ x 34’. Keep this in mind when you are laying out your room sizes. If you absolutely need to have a minimum size for a particular room, it’s best to start with that space and design the rest around it. Even conventionally-framed interior walls take up space. A standard 2” x 4” wall covered with tongue-and-groove on both sides will subtract a total of 5” from the interior space. Using drywall instead of tongue-and-groove will only save you ½” of interior space. This also must be taken into account when ordering interior doors, for example. Even if you ultimately decide to use a plan from a log cabin company or choose to have an architect draw up your final design, log home design software allows you to accurately and effectively articulate your designs and desires to them. Builders can work directly from the resulting blueprints or you can us them to get accurate “apples to apples” competing bids on your log home build. 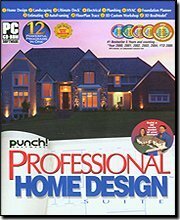 Log home design software is a fun and effective way to create your own cabin designs and blueprints. At the very least you can use it to educate yourself to the various factors and decisions that have to be made as you design your log home. Wizard-Driven User Interface. With drag and drop simplicity, you’ll design, customize and furnish in 3 easy steps - in 2D or 3D. Powerful Design Tools. Virtually limitless creative options and innovations for customizing. Build in everything from electrical outlets to windows, cabinets, lighting and window coverings. COMPLETE! All-in-one design software from 2D blue prints to detailed 3D interior, exterior home design, and landscaping. POWERFUL! 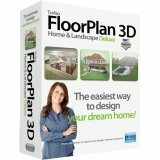 Includes thousands of 3D appliances, furniture, and landscaping objects with life-like materials, textures and lighting. GREEN! Ways to save energy, save money, and save the planet with the Green 3D Home resource. 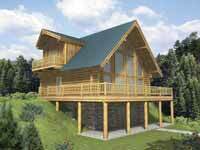 Create your dream cabin with log home design software. Use the powerful tools they put at your fingertips to work in 3 dimensions and to experience your potential home with virtual walk-throughs. 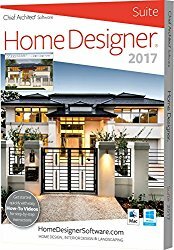 This software handles all the technical aspects of design and frees up your imagination to create your dream home.